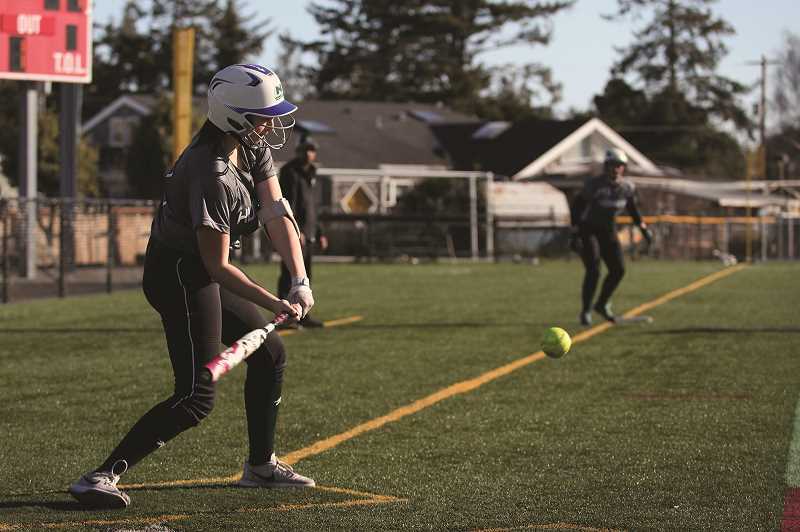 After pulling out three straight victories over the weekend at the Seaside Tournament, the North Marion softball team wrapped up the month of March with an impressive 5-2 start to the season. Considering the program's six total wins from the year before, the Huskies are on the path to eclipse that total early in April, as the team raises the bar higher in the second season under head coach Jon Santos. "Wins are great, it's always good to have that judgment based on last season," Santos said following the Huskies' 18-3 win over Woodburn on Saturday. "This season we're on a mission. We want to go into league and we want to make playoffs. "In order to do that, you have to be top two, top three, and that's going to require us winning games. We want to be in that 10-11 (win) range so we're in a good spot come playoff time." The Huskies opened the weekend tournament in Seaside by beating the hosting Seagulls 11-8 on Friday, and followed the win over Woodburn with a 23-2 victory against Umatilla to wrap up the trip to the coast. The opening game nearly put a sour note on the tournament after the Huskies scored nine runs in the opening inning, only to give six back to the Seagulls in the bottom half of the frame. But after the initial salvo between the two teams, everything settled down and sophomore pitcher Jasmine Calkins held Seaside to just two runs over the final five innings to come away with the win. Calkins returns to the team after a trial-by-fire season in which she pitched nearly every game for the Huskies as a freshman in 2018. "Jasmine Calkins has been in the circle for us quite a bit and has matured a lot from last season to this season," Santos said. "I want to give her a ton of kudos to that, because she's come a long way." She is joined by returning sophomores Abby Railey (catcher), Lili Piercey (shortstop) and Rayne Ellis (outfield) to give the Huskies a strong second-year core to build from after this year's seniors leave the program. "We have a pretty good collective group of sophomores," Santos said. 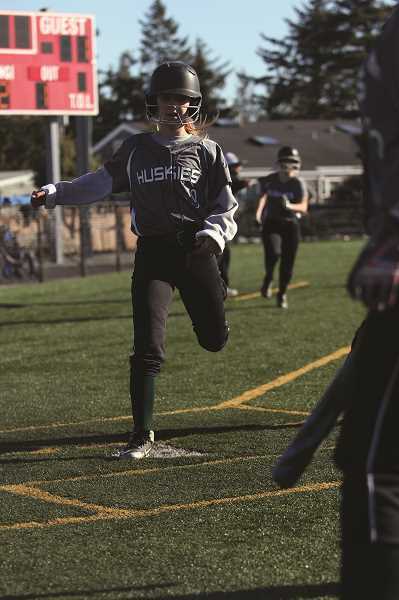 Those seniors are led by all-state second baseman and centerfielder Samantha Baylie, who is joined by returning infielder Emma Beachy to give the Huskies a pair of veteran leaders. 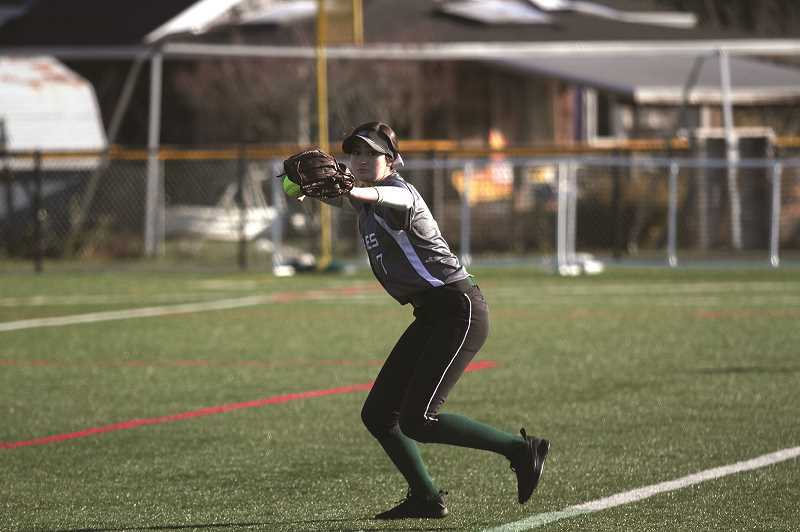 "We've got Emma Beachy, Samantha Baylie coming back — great gloves, great bats, good leadership between the two of them being seniors," Santos said. And while the Huskies are experiencing slightly lower numbers than expected after last year's team featured nine freshmen, the team has thus far thrived in Santos' sophomore season at the helm. "A bit lower numbers than what we expected from last season to this season, but we've got a lot of decent softball players, a lot of kids who are willing to be coached and putting in the time and effort," he said. The Huskies feature four more incoming freshman on the roster this year, led by third baseman and backup pitcher Anna Fuentes, who pitched a complete game in the win over Woodburn on Saturday. "She's doing really great as a freshman," Santos said. "We've got a good squad. They're a very tight knit group right now, and we're building that family culture."